It's time to beat those January blahs! To help you through those cold winter months (or hot summer months for our friends down south) all our Enhanced Edition titles on Google Play and the App Store are on sale for the rest of January! 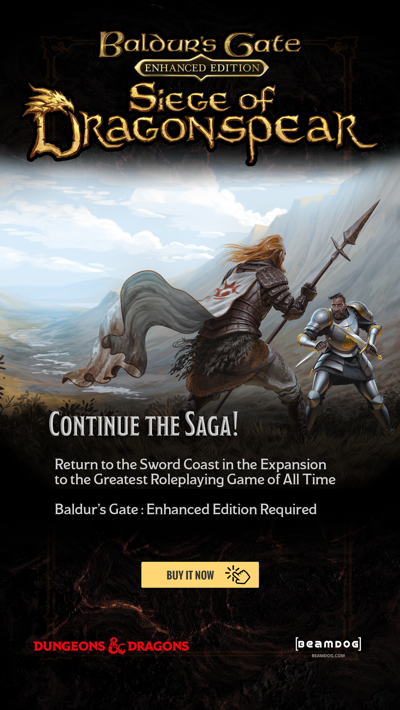 So grab your phone or tablet to get a deal on your favorite adventure and curl up under a blanket (or hit the beach) and escape to the exciting world of Dungeons & Dragons! Baldur’s Gate: Enhanced Edition ~ 50% off! Baldur’s Gate II: Enhanced Edition ~ 50% off! 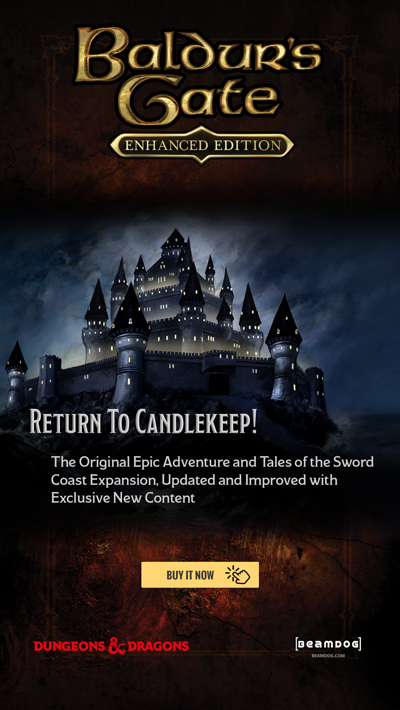 Icewind Dale: Enhanced Edition ~ 50% off! Planescape: Torment: Enhanced Edition ~ 50% off! Will you ever make PST available through Amazon? I'd love to be able to play it on my Fire tablet.